Flowers and cakes send to manila in philippines. Agreeably, flowers do their job by adding so many colours to the occasion. But everybody is going to gift them anyways. 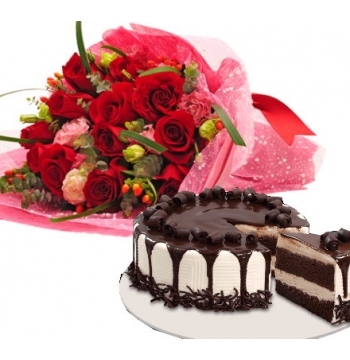 So a brilliant idea will be to send a mouth watering cake along with a good looking flower basket. Trust us, the person whose birthday it is will be thoroughly impressed. 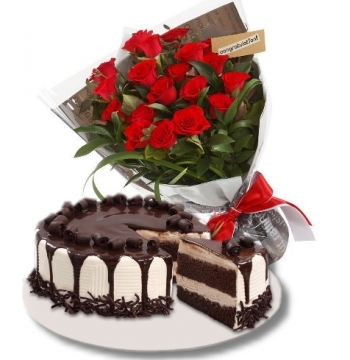 Send Birthday flowers and cakes through our online services to avail a wide variety of flowers and cake. Along with these we also have virtual shelves full of gifts for the Birthday Boy or girl. We have a variety of flowers like roses, gerberas, lilies, tulips at all. We also have a fantastic collection of cakes like Strawberry, chocolate, butter scotch amongst others. Get on to our website and grab any one of these or all of these. Online Gifts Delivery is also an option which will add three items to your gifting arsenal. With three birthday presents on cards, the Birthday is bound to be a lavish affair.